LONGMONT – Gardeners, the day we’ve been waiting for all summer has finally arrived: National Sneak Some Zucchini Onto Your Neighbor’s Porch Day. Yes, folks, Wednesday, Aug. 8 the green, cylindrical squash becomes the talk of the town as it’s placed, anonymously, onto stoops and porches while being announced with a merry ringing of the doorbell as the gardener scurries away. For us, the joy is in the giving, for our zucchini plants are overflowing with squash. 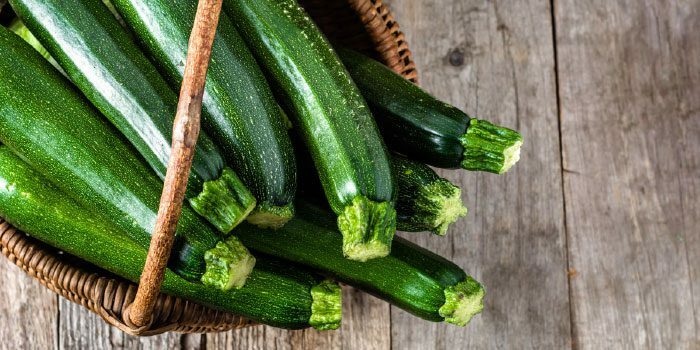 So much so that the family has learned to dread the words: “zucchini is ready for harvesting.” Could it be the result of zucchini for breakfast, lunch and dinner day after day? Overabundance – and thus over consumption – of this summer squash is but one reason why people duck for cover during zucchini season. Too much of a good thing usually results in needing a break from that particular food. Coupled with the fact that many people have zucchini coming to them from several friends, any sane person would hide. There could be other reasons for our aversion, based on plant physiology. When young, plant energy is at its peak and the fruits may be slightly more tender and delicious than from an older plant that has been producing for a while. Speaking as an older person I am less than enamored of this theory, which is not scientifically researched and can only be considered an interesting possibility. A more likely reason for ‘zucchiniphobia’ may rest with a well-known fungus called powdery mildew. Powdery mildew attacks the leaves of most cucurbits – the plant family that squash, cucumbers, and melons are in – later in the season and can reduce the plant’s production of sugar in the fruit, leaving a less than delicious squash. It’s true that as we lose our enthusiasm for zucchini, it loses flavor and delicacy. But gardeners don’t call it quits and pull the plant from the ground when powdery mildew strikes. No, the obsessed gardener will struggle on, doggedly harvesting fruit and finding new ways to use it and new friends to bestow it upon. For those die-hards, here are few tips for using that squash – none of which are research-based. Zucchini is an excellent vegetable to use in the Spiralizer machines. Turning the squash into long, spaghetti-like strands, the machine is one way to hide the fact that you’re serving zucchini every meal for the fifth week in a row. That the ‘zoodles’ are an odd green can be covered up with a bit of pesto. It makes a tasty bread, and those with an abundant supply could get an early start on holiday gifts. Imagine how simpler December will be by baking all of your holiday loaves and freezing them in August. When the holidays roll around you simply pull the loaves from the freezer and voila! Planning ahead pays off. 10 lb. box for your mother-in-law. There’s always camouflage gifting – dressing the zucchini up with a prettily printed recipe card, some sparkling rhinestones and ribbon. Please the kids with zucchini-boat carving and float them in a pond, or carve boat-themed centerpieces for summer parties. Slap some wheels on them and have zucchini races. However you choose to celebrate the squash, make August 8 special.